Born in Glasgow, the great-great grandson of William Skirving of Strathruddie, Fife. He trained with Alexander 'Greek' Thomson , becoming his chief assistant and close friend. In 1871, he moved to London to work with Heaton & Heaton the glass-stainers and decorators. Whilst there, Thomson paid him a surprise visit and noted that: "Sandy... seems to be working very hard and aiming at distinguishing himself." He also approved of his interest in the Gothic style and admired an exhibition design by Skirving "which", he said, "did him credit" (McFadzean). By 1873, he was preparing to set up his own architectural practice but this was delayed by a long illness until 1876, when he returned to Glasgow. Much of his work was Thomsonesque in style but he ultimately failed to grasp the essence of his master's genius. He produced tenements, houses, commercial buildings and monuments for cemeteries, the latter including the Gilmour Family Monument, Necropolis (n.d.). His most idiosyncratic design was for the 1881 City Chambers competition, which was for a Classical temple with a multi-domed attic (motto: Periclese), the appearance of which prompted the press to comment: " ... the irresistible thought is that, having got through all this straight lined work in the fa�ades, the author or his design could no longer be controlled, and - just bubbled." Another of his competition designs, the Southern Hospital (Victoria Infirmary), Glasgow, 1882, was also unsuccessful, but was published in the British Architect (Vol. 30, 1883, pp. 404-5). After 1896, he produced "curious pseudo-Byzantine buildings" (McFadzean, p. 282). His work includes the warehouse at 6-12 Broomielaw (1883, dem. c. 1990); the Scottish Legal Life Assurance Building, 76-84 Wilson Street, which was the first large-scale red sandstone commercial building in Glasgow and which was drastically modified prior to building (1884); the Gothic Langside Established Church (1880, dem. c. 1977); the Barnhill Poorhouse Extensions; and the domestic 5 Kennington Road (1893-6). His best known works are Langside Hill Free Church, which marked the end of the Classical style in Glasgow (1894-6), and his competition winning Langside Battlefield Monument, Langside Avenue (1887-8). The Langside Battlefield Monument commemorates the 320th anniversary of the defeat of Mary, Queen of Scots' army at the Battle of Langside, in 1568, and was sculpted by James Young . At Langside Hill Church, Skirving also intended to include a sculptural reference to the Queen's tragic reign by filling its pediment with a relief depicting John Knox Remonstrating with the her, but this was never completed. Less well known is his restoration of the 17th Century Martyrs Stone in Old Cathcart Churchyard, which commemorates the local Covenanters, the Polmadie Martyrs, executed in 1685, in which he collaborated with the monumental sculptor William Scott (1888). Skirving lived in the south side, at Chestnut Cottage, Langside Avenue. The nearby Skirving Street was named after him by his brother-in-law, John Sommerville, who feued the land, c. 1912. 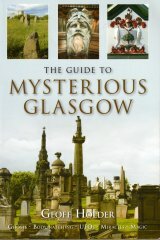 GCA : LK5/45, Macintosh, Glasgow Streets S-Y, p. 1797.